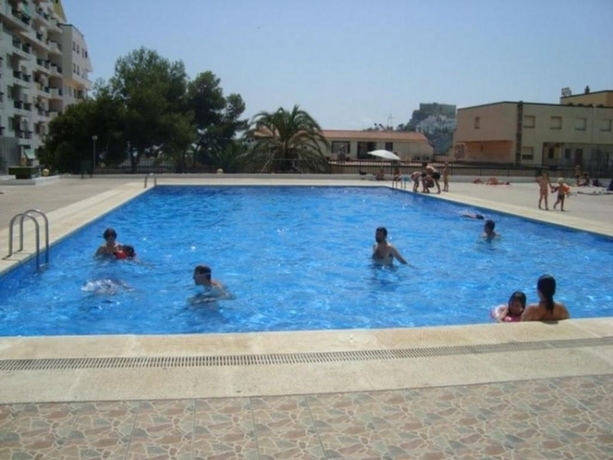 This wonderful apartment complex is not only situated near the sea, but is also close to Peniscola Beach, Peniscola Castle and Gardens, and Virgen del Socorro Cathedral This wonderful apartment complex is not only situated near the sea, but is also close to Peniscola Beach, Peniscola Castle and Gardens, and Virgen del Socorro Cathedral. Also nearby, guests will find the Church of Santa Maria and La Casa del Ayer. The convenient location for both business and leisure travellers is complemented by in-house recreational amenities, which include an outdoor tennis court and an outdoor swimming pool. Guests will enjoy unforgettable moments, while relaxing in the rooftop terrace, which offers magnificent views. The front desk provides tour and ticket assistance, as well as any other type of helpful information. discover all that Peniscola can offer you!